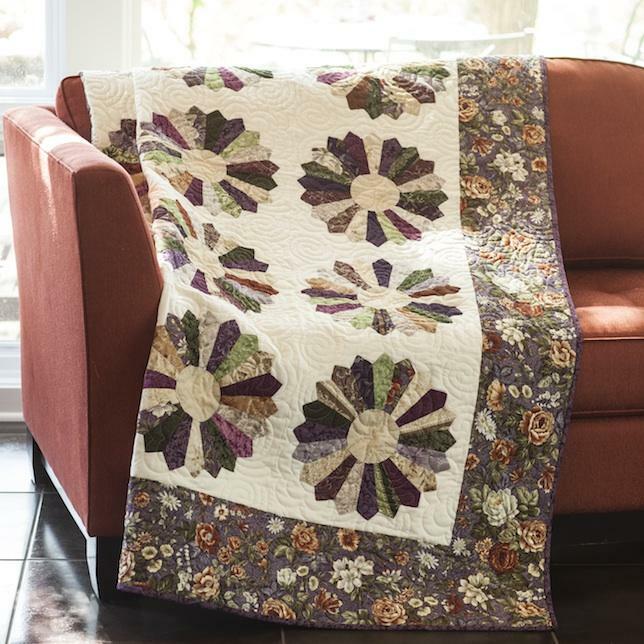 This kit for the Dresden Botanica includes the fabrics for the top, back and binding, as well as the pattern appears.The quilt measures 82" x 96". Jenny's pattern includes templates and instruction, as well as providing info on how to find the on-line video which demonstrates the techniques used to make the quilt. For the background, we have chosen to use a cream solid, as called for in the pattern.